If you’re craving unspoiled nature and a get-away close to Stuttgart, Siebenmühlental is the place you want to go. Check out the new guest guide book for 14 hiking and bike trips. And the best: it’s for free! 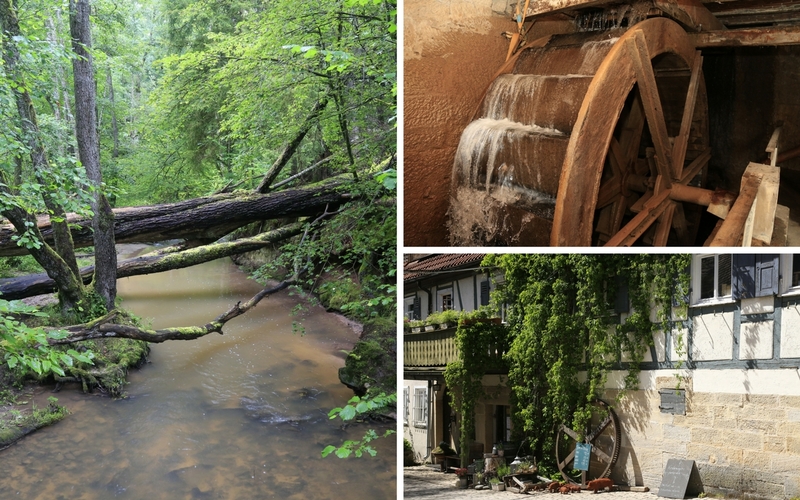 Some of you might remember Siebenmühlental (Seven Mills Valley) from my former post about Eselsmühle (Donky Mill). But there’s much more to explore! 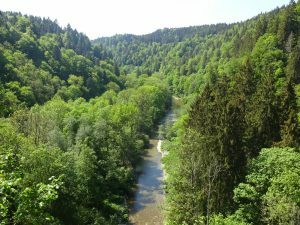 Siebenmühlental is among the best-known, best-loved and most interesting valleys in the Stuttgart region. It is sometimes also known as Reichenbachtal, after the Reichenbach river that flows through it. Siebenmühlental is the perfect setting for days out – whether you’re local or just visiting. The footpaths through the charming valley are popular with hardened hikers, leisurely walkers, families (with or without pushchairs), cyclists and skaters. They all come here to get their fix of the great outdoors. 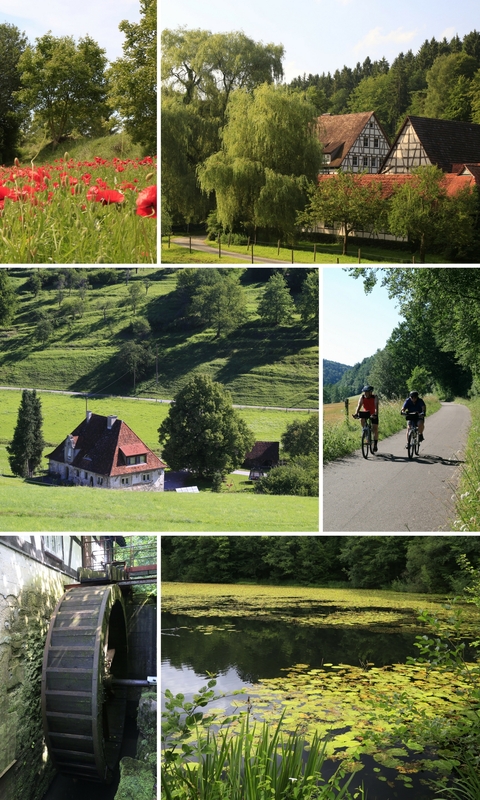 Most people take the paved Bundeswanderweg trail from Musberg to the Burkhardtsmühle. But there are other footpaths that are much more secluded, that provide even more opportunity to get back to nature. 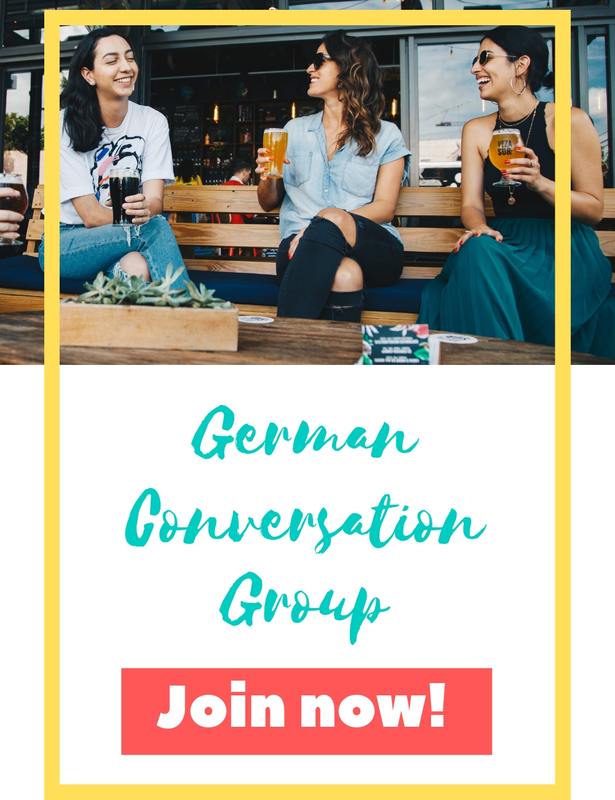 Whether it’s the Reichenbachtalweg, which also runs through the valley but gets closer to nature than the Bundeswanderweg, or one of the various paths or walking routes that take in the magnificent woodland and countryside surrounding the valley, the choice is yours. If you want to walk through the Siebenmühlental valley, there are two options: the Bundeswanderweg (Federal Hiking Trail ) and the Reichenbachtalweg (Reichenbach Valley Trail ). The Bundeswanderweg runs along a stretch of disused railway a little way above the valley, and is fully tarmacked. The Reichenbachtalweg is a loose gravel trail with some short stretches of unmade paths. It regularly takes you alongside its eponymous river, and at some points you can get up close to the water. If you want to combine the two routes, you are best advised to start on the Reichenbachtalweg and go as far as the Burkhardtsmühle, then go up to the beer garden and take the Bundeswanderweg back to the start. 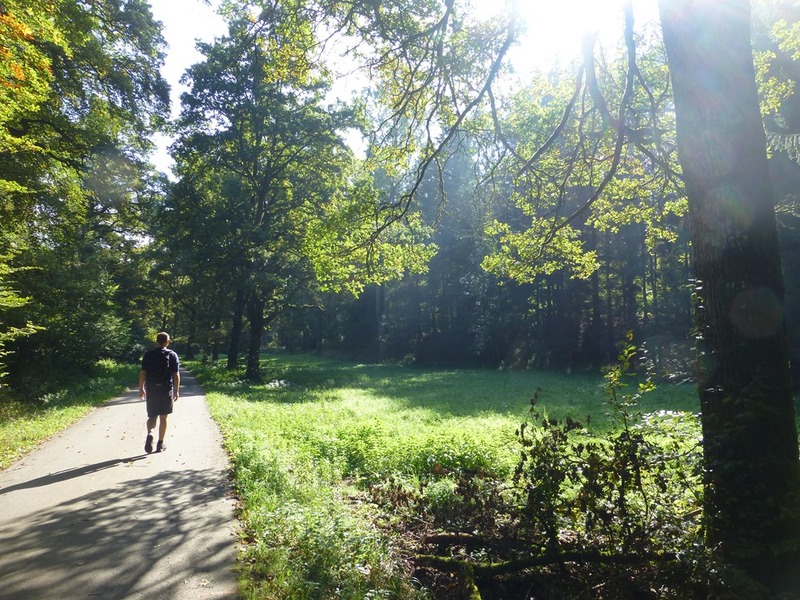 To make the walk shorter, you can start from the Seebruckenmühle car park. On the return leg, look for a path marked with a red cross shortly after the old Steinenbronn train station to find your way back down to the starting point. Get your free copy of the new guide book! 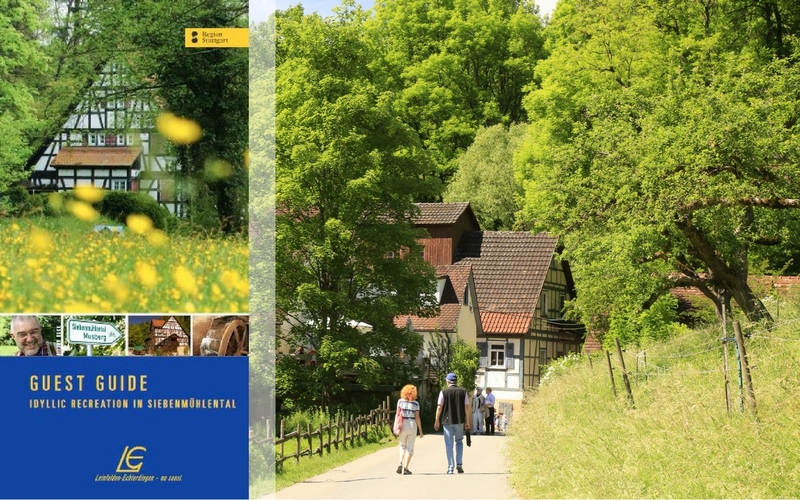 The city of Leinfelden-Echterdingen has published a new and free guide book freaturing Siebenmühlental. 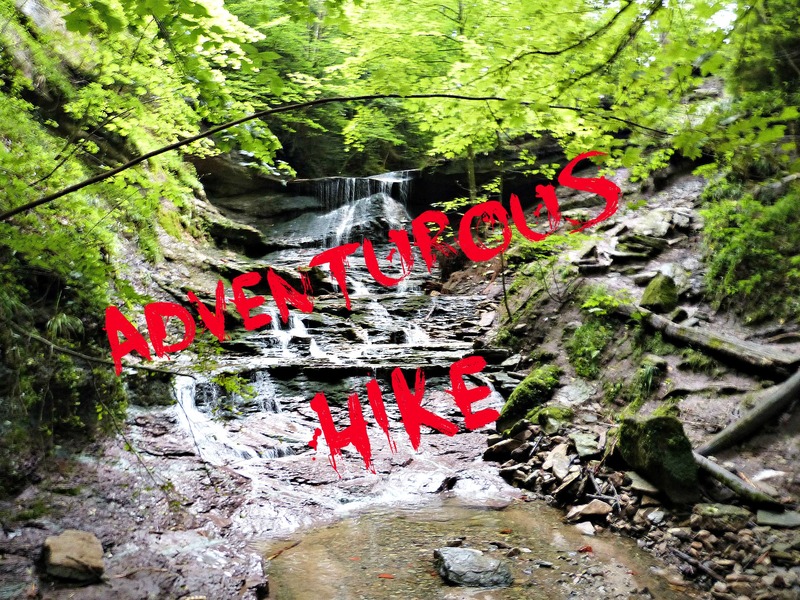 It points out 14 tours for hikers and bikers – from well known trails to hidden paths.